Ashton Kutcher can’t stand advertising! Kutcher wants to be entertained or he’s gone. As marketers, this means you need to tell a story regardless of the medium, digital or live, because we’ve been trained to understand them since we were children. Marketers are you listening? To illustrate his point at Digitas’ The New Front 2011, Kutcher referred to Carl Fisher, an exceptional promoter who created stories, entertainment and events around products to get them to sell. For current day marketers, this means having a great story, preferably one that generates lots of conversation on social media so that people want to experience it for themselves. It helps if marketers can produce polarity that’ll generate conversation. This translates to drama in your stories because people will seek you out if you have a great story; in fact, they may even pay for it! While the idea of celebrity endorsements isn’t a new marketing concept, how it has evolved in a social media engaged world is new. Here are five tips from Digitas’ The New Front 2011 to illustrate how celebrities enhance your marketing stories. Celebrities have a built-in following. Due to their celebrity status, actors and other high profile personalities accrue large media followings including social media and particularly Twitter. 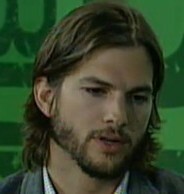 For example, Kutcher has 6.9 million Twitter followers. Therefore, his endorsement of your product either directly or as a company spokesperson helps shine some of their special celebrity rays on your brand. Celebrities are larger than life personalities. Actors represent concepts and ideas related to the roles in which they’ve been cast. As people we think of them as being larger than life. Therefore, the public knows what the individual represents. Celebrities have a narrative voice. Celebrities know how to contribute to the story process with the way they tell the story. They know how to use the right vernacular and slang as well as pitching their voice to add or enhance the emotional impact of the story. Celebrities have an innate feel for timing as it relates to storytelling. Actors are trained to read their audience on the fly. They know when to speed up or slow down. They make stories come to life by modifying how quickly or slowly the story is paced. While you may not have celebrities like Ashton Kutcher telling stories about your brands and products, in today’s social media ecosystem, your employees, customers and the public can help you develop them. The challenge finding those storytellers in your midst that have that celebrity star power and amplifying those voices so that they’re heard by a larger audience. Do you think that you need celebrities to help your marketing? Here are some related articles that you may be interested in. Do your online videos have star power? Note: Digitas The New Front 2011 was part of Internet Week in New York. Tags Ashton Kutcher, Digitas, Marketing, New Front 2011, Story, Storytelling. Bookmark the permalink. Good article as always, Heidi! Being exclusively focused on B2B markets (Life Sciences, in particular), we have found that one has to take the broad view of “celebrities” in order to effectively tell a story. Scientists generally tend to be skeptical by nature, so that they can effectively question their observations. They’re also driven by high ethical standards of being impartial and unbiased, which makes it all that much more difficult (and more fun, IMHO) to market to them. We have found, though, that the best way to carry a story to them is through peer-based marketing.